With some exceptions, in a rule-of-thumb sort of way, the ‘technical’ modifier means ‘this was harder to play’ while ‘progressive’ means ‘this was harder to write.’ As such, experience is highly valued among progressive musicians especially, and progressive supergroups seem more common than other genres. 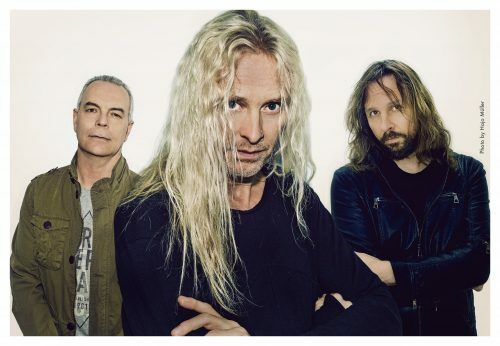 The Mute Gods is another one of those, consisting of Steven Wilson’s bassist Nick Beggs and drummer Marco Minnemann, who also performs guitars here, and keyboard player Roger King who played with Nick and Steve Hackett of Genesis fame. Their last offering, Tardigrades Will Inherit The Earth, garnered some tempered praise from Ferrous Beuller, so let’s dig into their latest, Atheists & Believers, to see whether the seasoned Brits still have what it takes. Having only listened to “We Can’t Carry On” off the Tardigrades album, I went into Atheists with the misunderstanding I was going to hear a darkly sardonic piece of progressive rock. Nothing could be further from the truth as Atheists opens with the bright title track, the style reminiscent of Rush but with the song structure simplified and streamlined, almost reaching pop levels of approachability. The band showcases their strengths from the start, employing clever melodies, layering smooth guitars and bass with Nick’s slightly nasal voice in tow, the latter likely the most divisive element of the album. Whilst I appreciate the note of personality and find his timbre a pleasing standout, it’s not the type of voice that is likely to appeal to everyone. A few other standouts include the catchy “Knuckleheds” (sic) which adds a sweetly sarcastic note, and this album’s equivalent of “We Can’t Carry On” called “Envy the Dead,” the darkest and most bitter song on the album. Deeper in the album, the solid songwriting does show a few frays. Though I enjoy the Alan Parsons Project melancholy of “Old Men,” its follow-up “The House Where Love Once Lived” is too slow and low-key for too long, meandering with not enough structure. That wandering flaw also affects penultimate track “Twisted World Godless Universe,” which repeats the same stanzas a few times too many to justify its eight and a half minute runtime. These flaws don’t sink the album though, merely keeping it from reaching loftier heights. In fact, that seems to be a bigger issue: with the considerable talent on board here, the average compositions here seem to lowball it. The songwriting is overall pleasant and easy to listen to, but there is a lot of musicianship going underutilized here. Most tracks are fairly simple in structure, and even the more expansive tracks don’t dive very deep. Which is disappointing, because the level of detail in the performances is high, and in the production doubly so. Atheists sounds fantastic, with its warm and full bass, rich guitar tones, beautiful crisp master and flawless mix. If the album had been written as well as it was produced, this would have been Record o’ the Month, and I’d advise our Metal-Fi readership to take note. Overall, Atheists & Believers mostly feels like a band of highly skilled and accomplished musicians punching under their weight class. The album is never less than pleasant to listen to, has few songwriting flaws, is immaculately played and expertly, wonderfully produced, but Nick and co. undoubtedly could afford themselves more ambition than defaulting to ‘pleasant’ throughout. But that is merely me being greedy, because there is plenty to enjoy on Atheists & Believers, and with this amount of prog royalty under the hood there’s something to be said for restraint. 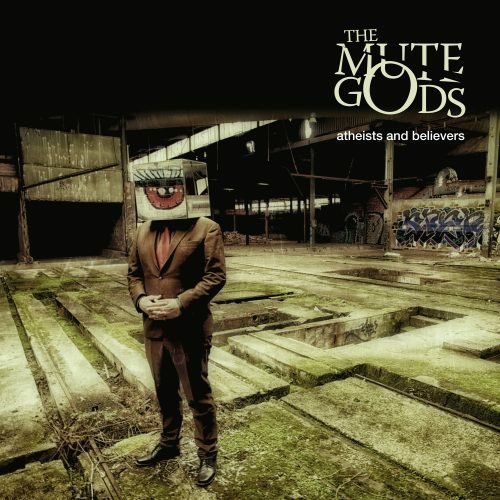 The Mute Gods remains as they were, an expert band kicking around some solid tunes without blowing anyone out of the water, but no one’s collection would be tainted by a record or two of this trio.